Like many things in life, I never appreciated the Expos as much as I should have while they were around. I'm glad there is baseball in the Nation's capital, but did it have to come at the expense of the beautifully bilingual Expos? I got to reminiscing about the Expos last night, when perusing their official twitter feed. 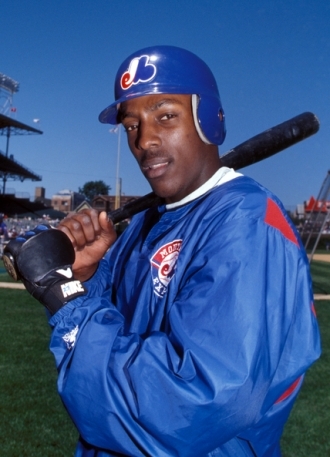 It seems like almost a lifetime ago, when there was Major League Baseball in Montreal. I was actually somewhat surprised to be reminded that they didn't play in DC until 2005. Still, how old are the old Expos? I remember Orlando Cabrera and Nick Johnson, of course. Cliff Floyd is retired, and Mark Grudzielanek recently hung up his cleats. 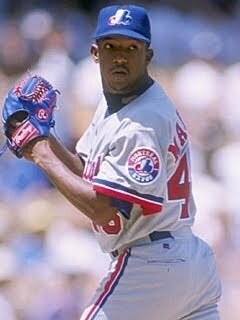 Maybe Pedro will come back to be someone's 5th starter again. Is 2004 too distant to create a team, or at least a lineup, of former Montreal Expos who are currently playing somewhere? As the old tootsie-pops owl would say, let's find out. This is a scary hitter. Man, in 2011, that team stinks. You'd better believe we'd be calling Pedro's agent, if we really were getting the band back together.